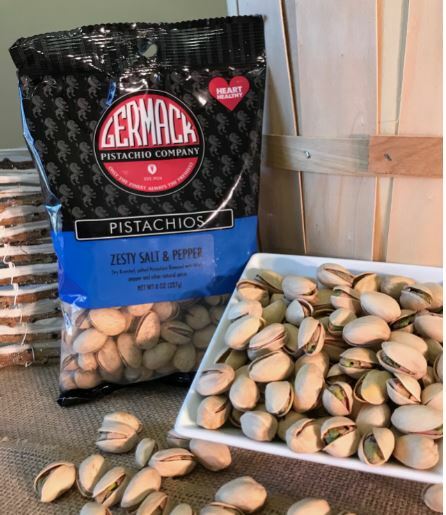 In-shell pistachios flavored with a zesty blend of, black pepper and other seasonings These a roasted in-house in small batches. Truly a delicious gourmet nut snack! Try all of our flavored and regular pistachios, like the Garlic Pistachios and Cajun Pistachios. If you like these, the Zesty Salt and Pepper Castachio Nuts (with cashews and shelled pistachios) are a must try!